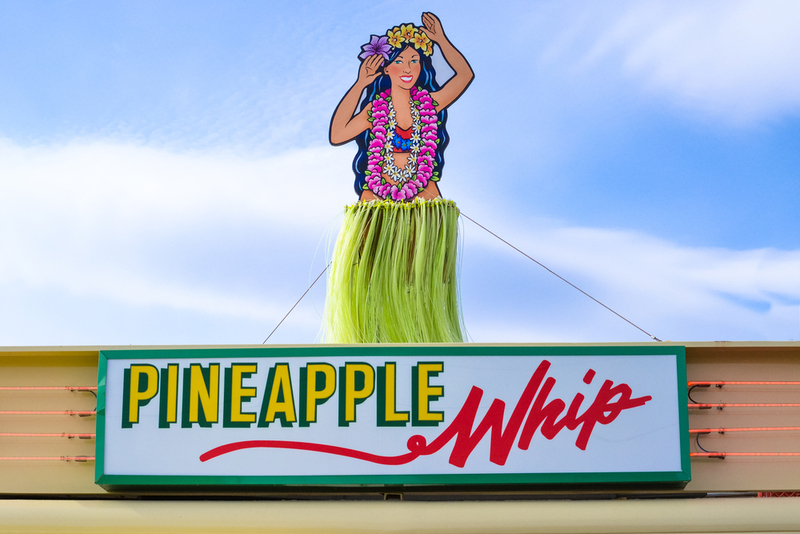 Whether it's a night on the town, a treat after the game, or just because, Pineapple Whip is the perfect addition to whatever your summer has in store. Visit one of our convenient locations and enjoy one of our delicious flavors. Each location offers our famous Pineapple flavor and a second rotating flavor that changes week to week. We offer Mango-Peach, Strawberry-Kiwi, Grape, Orange, and Banana-Pomegranate (aka NanaGranate). Don't forget to try your favorite flavor twisted with pineapple! Grab a friend and come get some summer!